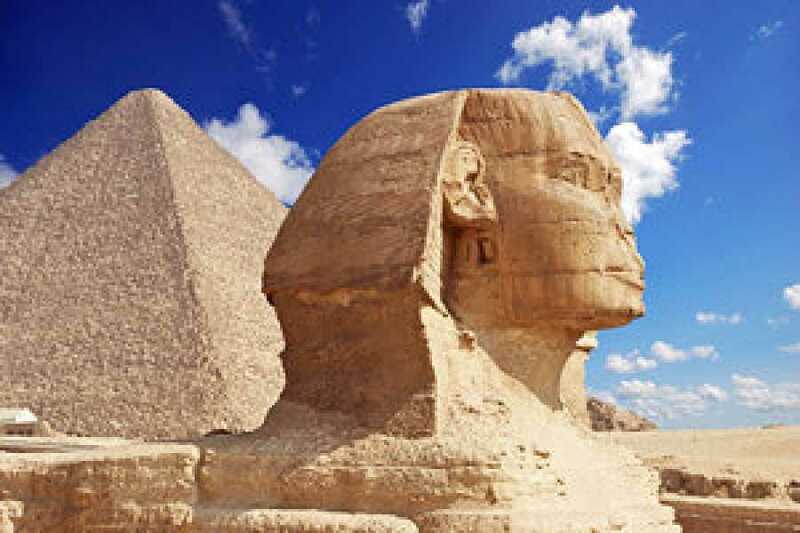 At 8:00 am Start your full day visiting the Great Pyramids - Cheops, Chephren & Mykerions. Cheops is the most colossal ever built. Next is a close-up look at Sphinx - a huge funeral complex guarded by the legendary lion body with the face of king Chephren. then Visit Sakkara is 27-Km Southwest of Cairo. Including a visit to the step Pyramids of Sakkara (The first proper Pyramids built for the king Zoser, it is considered evolution of the Pyramid from the simple Mastaba to the Pyramid in its known form) Followed by a visit to Memphis the ancient capital of Egypt where Colossal Statue of Ramses II and the great Alabaster Sphinx. Start your Full day Tour to the Egyptian Museum of antiquities. On display is rare collection of 5000 years of art the largest most precious collection of Egyptian art in the world. Over 250,000 genuine artifacts are presented, including an exhibit dedicated to the Tutankhamen collection of treasures, gold, and jewelry. Then we visit the Old part of Cairo, as Egypt was one of the first countries to embrace Christianity. We visit The Church of Abu-Sergah and St. Barbara,The Hanging Church; we will also visit The Old Jewish Synagogue Ben Ezra Synagogue. Then visit Khan El Khalili Bazaars. Shops in this district are legendary for fine border brass ware, copper, perfumes, leather, silver, gold, antiques …etc. Around 19:00 pm. Transfers to the train station for your overnight Sleeper train to Aswan. Dinner on the train.Over night in Sleeper Train. (Optional) 110 $ P.P Full day Tour Abu Simple Temple the colossal Temple of Abu Simbel built by Ramses II (XIXth. Dynasty) and lately saved from inundation of the Nile waters in among the glories of ancient Egyptian monuments. The temples were built out of a sandstone rock cliff, and representation of the deities to which each was dedicated is carved on its huge façade. Nearby, also saved, lies the small Temple of the King's wife Nefertari, dedicated to the goddess Hathor. This excursion can be undertaken by plane or bus.Overnight in Aswan.